Las Vegas (Dec. 11, 2017) – The heat is on this winter as INFERNO, the fire spectacular that has taken Europe and Asia by storm, lands at Paris Las Vegas. A dazzling display of pyrotechnics, fire stunts and spectacular illusions, INFERNO has been called “a perfect show that surprises over and over again!” Performances begin at the Paris Theater on Jan. 24, 2018. Tickets are on sale now at Ticketmaster.com. Led by critically acclaimed European illusionist Joe Labero and the most exciting fire, pyro and aerial group in the world, The Fuel Girls, INFERNO blends death-defying stunts, jaw-dropping illusions and more fire than you can imagine into a gasoline-soaked spectacular. “INFERNO is like nothing The Strip has seen before,” said Kris Russell, co-producer. “Fire brings out something primal in everyone. It’s one element that’s never quite been tamed and this show will push the most talented fire artists in the world to their absolute limits, letting audiences live out their pyromaniac dreams.” Labero, a four-time Merlin Award winner and “illusionist of the decade” who has performed for sold out arenas globally is the heart of INFERNO, where he uses his mind-bending magic to tame nature’s most powerful element through all-new jaw-dropping illusions. The Fuel Girls, just off Fall Out Boy’s UK Tour, will dazzle with huge fire props including flaming swords and whips, crowns of fire, arena-scale pyro rings, dragon canes, pyro staffs and spinning fire cubes, performing in and around while manipulating the fire itself in death-defying floor and aerial acts. “A fiery production that will keep audiences on the edge of their seats, INFERNO is sure to bring the heat as the newest addition to our world-class entertainment line-up at Paris Las Vegas,” Damian Costa, Caesars Entertainment vice president of entertainment operations. With dynamic special effects created by world-renowned fire and pyro specialists, the team behind fire spectacles at the Super Bowl, Coachella and more, Labero and his pyromaniac Fuel Girls will light up the stage for 90-minutes of the hottest entertainment ever to hit The Strip. Tickets for INFERNO are on sale now and prices start from $49.00 (plus fees & taxes.) Performances play Wednesday through Sunday at 9:30 p.m. For more information on tickets please visit InfernoShow.com. Tickets can also be purchased from ParisLasVegas.com or ticketmaster.com or by calling (702) 777-2782 and (855) 234-7469, or in person at any Las Vegas Caesars Entertainment Box Office. 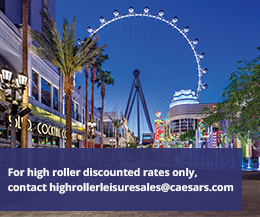 For groups of 10 or more call 1-866-574-3851 or email EntertainmentGroupSales@Caesars.com. 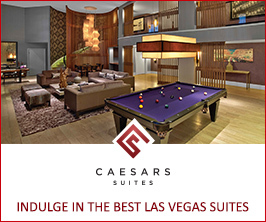 Paris Las Vegas brings the passion and sophistication of the City of Light to the heart of the Las Vegas Strip, transporting guests to Europe's most romantic city. Distinctive for its dramatic 50-story replica Eiffel Tower and authentic architectural reproductions, Paris Las Vegas features more than 2,900 hotel rooms and suites. Additionally, the resort offers an 85,000 square-foot casino; the two-acre Soleil Pool; Las Vegas’ first rooftop bar and grill, BEER PARK, spanning 10,000 square feet; Paris Spa by Mandara; two wedding chapels; unique French retail shopping located along the resort’s Le Boulevard District and the opulent nightlife venue Chateau Nightclub & Rooftop. Eleven restaurants include a distinctive array of fine cuisine such as Chef Joho's acclaimed Eiffel Tower Restaurant, French-bistro Mon Ami Gabi, Steve Martorano’s signature Italian-American dishes at Martorano’s and internationally-renowned Gordon Ramsay Steak. Performing in the 1,477-seat Paris Theater is CIRCUS 1903 –The Golden Age of Circus, a thrilling turn-of-the-century circus spectacular featuring sensational puppetry that brings two stunningly beautiful elephants to life. For more information, please visit parislasvegas.com or the Caesars Entertainment Las Vegas media room. Find Paris Las Vegas on Facebook and follow on Twitter and Instagram.